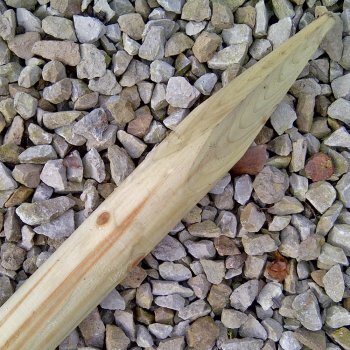 A single tree stake for use with trees up to 250cm in height at time of planting. Each stake is treated for weather proofing and is machine rounded. It is 150cm long and 50mm in diameter. Staking your tree is important as it prevents root rock and allows the tree to establish easily. Usually a stake can be removed after 18 months to two years. For more information about planting trees see our informational videos here.